The Sochi circuit is the first purpose-built Formula One facility in Russia hosting the country's inaugural Grand Prix in October 2014. Under the design supervision of renowned circuit architect Hermann Tilke, the circuit is integrated into the Winter Olympics Park infrastructure. The track width varies from 13 metres at its narrowest point to 15 metres at the start-finish line. 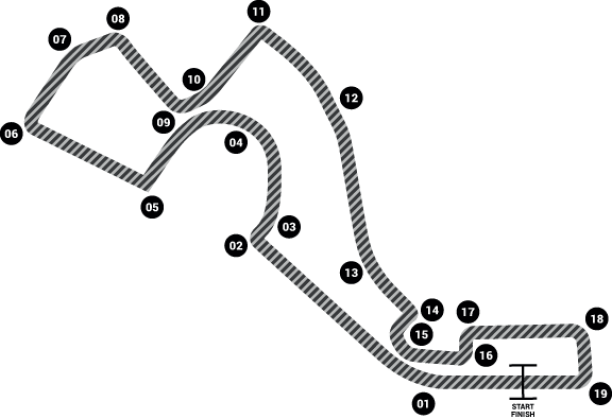 The circuit, which runs in a clockwise direction, consists of 12 right- and six left-hand corners, and combines both high-speed and technical sections.